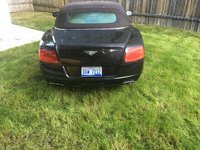 Looking for a Used Mulsanne in your area? CarGurus has 98 nationwide Mulsanne listings starting at $88,888. Named for a well-known straightaway on the Circuit de la Sarthe race course in Le Mans, the 2012 Bentley Mulsanne is all about power and luxury. In the second year of its second generation (a similarly named model was produced by Bentley from 1980-92), the 2012 version is virtually the same as the preceding year’s model. As Bentley’s premier sedan, everything is big and luxurious about the English-built 2012 Bentley Mulsanne, from its overall length—topping out at nearly 220 inches—to the oversized upper front grille and larger-than-normal round LED bi-Xenon headlights. Other notable exterior features include a retractable hood ornament and standard 20-inch aluminum alloy wheels (with 21-inch wheels available as well). There is a single trim available for the 2012 Bentley Mulsanne, but what a trim that is. The powertrain features a monstrous 6.8-liter twin-turbocharged 16-valve V8 engine that makes an impressive 505 horsepower and 752 pound-feet of torque. The powertrain is controlled by an 8-speed ZF automatic transmission that can be manipulated through steering-wheel-mounted paddle shifters, a first for a top-of-the-line Bentley. The driver has control of the suspension as well, through the Driver Dynamics Control system (which offers Bentley, Sport, Comfort and Custom modes). All this power and control does come at a cost, which you will find at the gas pump. The 2012 Mulsanne, which has rear-wheel drive and runs on regular gasoline, is rated by the EPA at 11 mpg city/18 highway. Making up for the mileage shortcomings are the amenities—both standard and optional—that come with the 2012 Bentley Mulsanne. The leather used for the interior is hand-selected, comes in 25 different shades and is found on the seating surfaces, headliner, sun visors, door panels and interior compartment spaces—all hand-stitched as well through Bentley’s in-house Mulliner division. Speaking of colors, there are also 23 seatbelt and 22 carpet colors to choose from as well, along with more than 100 different exterior colors for those looking to mix and match colors for their luxury sedan. Numerous options are available for wood veneer choices as well, along with a multitude of chrome wheel styles. Standard amenities such as a climate control system, cruise control, tinted glass sunroof, rear-window defogger, multi-adjustable driver and front passenger seats, heated and cooled seats, auto-dimming rear-view mirror and power locks, windows and steering can be found on the 2013 Bentley Mulsanne. What sets it apart are standard amenities such as the 6GB hard disc drive unit fitted in the glovebox with a single-slot DVD drive and 6-CD changer. All the electronic devices can be controlled through voice activation. Additionally, the Naim audio system has 14 speakers—including 2 subwoofers and a 2,200-watt amplifier—and can be monitored through an 8-inch high-resolution color display screen. For those wanting more, the DVD drive can be upgraded to a 6-DVD changer, and a rear entertainment package—featuring dual 8-inch color display screens—and a rear-view camera can be added as well. Safety and security features have not been scrimped on, either. Six airbags, including intelligent driver's and front passenger airbags with front passenger airbag deactivation and head and thorax airbags fitted to both the front and rear seats are standard equipment. Other safety and security features that come standard on the 2012 Bentley Mulsanne include a 4-wheel antilock braking system, electronic stability control, electronic traction control, hill-hold control, parking distance control, direct tire pressure monitoring system, vehicle immobilizer and volumetric interior alarm system. Needless to say, those who can afford to drive the 2012 Bentley Mulsanne are impressed. Although heavy at almost 5,700 pounds, its twin-turbocharged V8 is heady enough to get the Mulsanne up to cruising speed quickly. Many owners, when comparing the Mulsanne to the Rolls-Royce Phantom, note that the Bentley seems nimbler than its counterpart, especially when taking corners. Luxury-wise, especially for those spending a little extra, owners found themselves wanting little from this 5-passenger, 4-door sedan. Other vehicles in the same class as the 2012 Bentley Mulsanne include the Aston Martin Rapide, BMW 760, Maybach 57 and the Phantom. 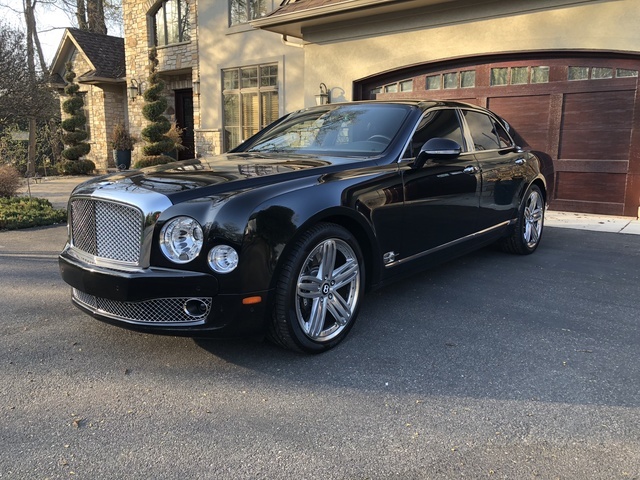 Price-wise, the Mulsanne falls at the higher end of the class, but then again, part of what comes with that price is the prestige and the quality that come with the Bentley name. 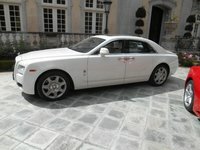 Although pricey, the number and variety of amenities available make the 2012 Bentley Mulsanne well worth it. 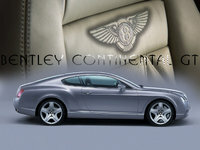 What's your take on the 2012 Bentley Mulsanne? Users ranked 2012 Bentley Mulsanne against other cars which they drove/owned. Each ranking was based on 9 categories. Here is the summary of top rankings. Have you driven a 2012 Bentley Mulsanne?